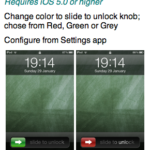 Winter is upon us and majority of us would prefer to keep our gloves on at all times unless we really need to take them off for something like using a capacitive touchscreen device. Yes, that’s true and frankly speaking, it’s not a pleasant experience especially in a scenario when you are driving in extreme cold with your thick woolen gloves on and suddenly your iPhone rings only for you to find out that ‘Slide to Answer’ won’t work unless you take the damn gloves off. It’s a major annoyance in cold climates but apparently, “there’s a glove for that”. Designed by Mujjo™ in Holland, these capacitive touchscreen gloves are woven throughout with silver-coated conductive fibers which makes them compatible with an iPhone, iPad or any other capacitive touchscreen device. 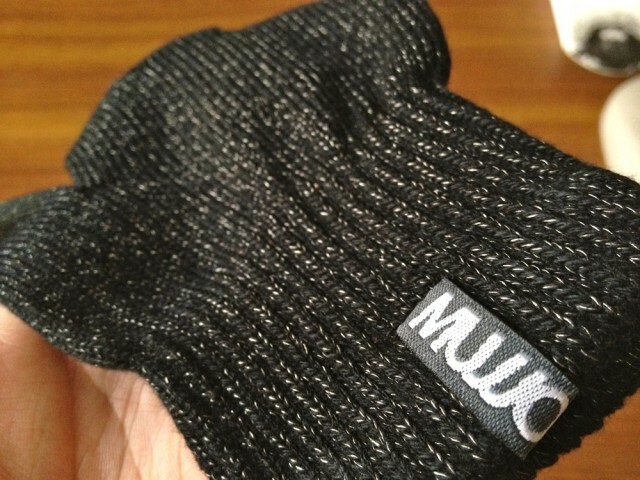 I’ve had the opportunity to personally try a pair of these, thanks to Mujjo™ for sending these in. For €24.95 (approx. $32.7 CAD), Mujjo™ Touchscreen Gloves come in a minimal packaging (as shown above) and are offered in two sizes, a Small / Medium and a Medium / Large. 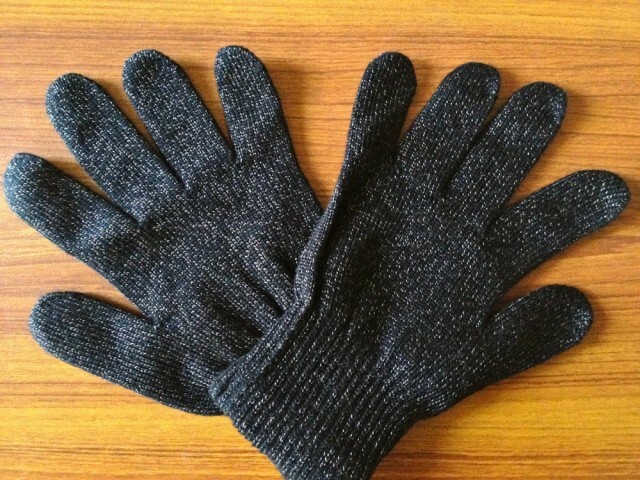 The website advertises the two sizes as for females and males respectively but they are Unisex gloves nonetheless. The gloves are made of slightly stretchable material that provides a nice snug fit which helps optimize the contact with your touch screen device as well. The gloves are black in color and are composed up of of 13.5% silver yarn, 66.5% acrylic and 20% spandex. 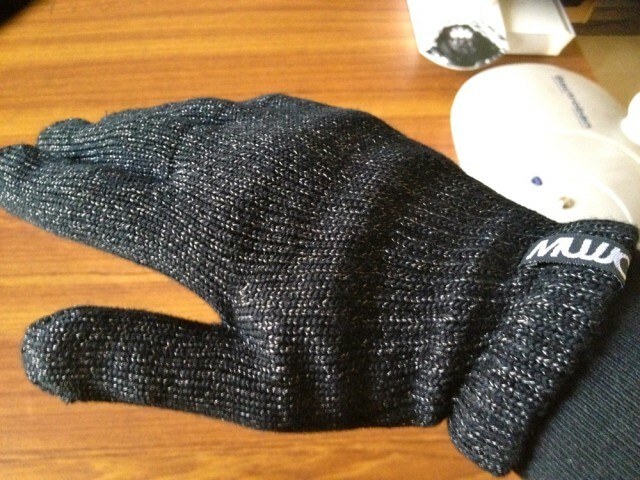 Mujjo™ Touchscreen Gloves function really great. I’ve had no problem using them with my iPad or iPhone. They even work flawlessly with my Macbook Pro’s trackpad. The best thing about these gloves is that they are sewn throughout with silver thread which allows full 10 finger functionality. 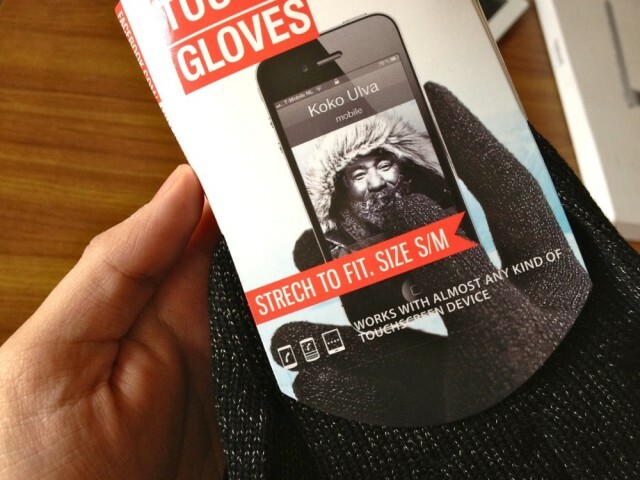 You can literally use your knuckles and even the palm of your hand on a touchscreen with these gloves on. I’ve also noticed that my typing on the iPad’s larger touchscreen with these gloves on wasn’t in any way worse than with my bare fingers. While the Mujjo™ Touchscreen Gloves are perfect in terms of touchscreen usability, they don’t seem to deal so well with the the extreme cold of a day. Even with these gloves on, I frequently feel the need to use my pockets or blow some hot air into my hands. This is quite unfortunate since keep you hands warm should be the first and foremost purpose of any pair of gloves, isn’t it? 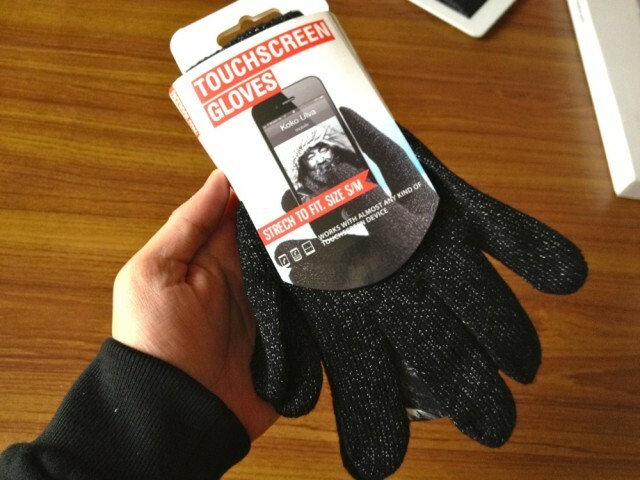 Apart from my only complaint of them being not so cold-resistant, I would gladly recommend a pair of Mujjo™ Touchscreen Gloves to anyone with a touchscreen smartphone living in colder climates, especially to the iPhone owners who don’t have a hardware button option to answer a phone call. With Mujjo™, you won’t need to worry about taking them off to answer one!